Jerry and Trish sat on their couch below a montage of seashell décor and photos from their beach wedding. Trish doesn’t think it was an accident that they moved in three years from the day that she and Jerry said their wedding vows. It was a special day. They had been married before, but had struggled early in the marriage. 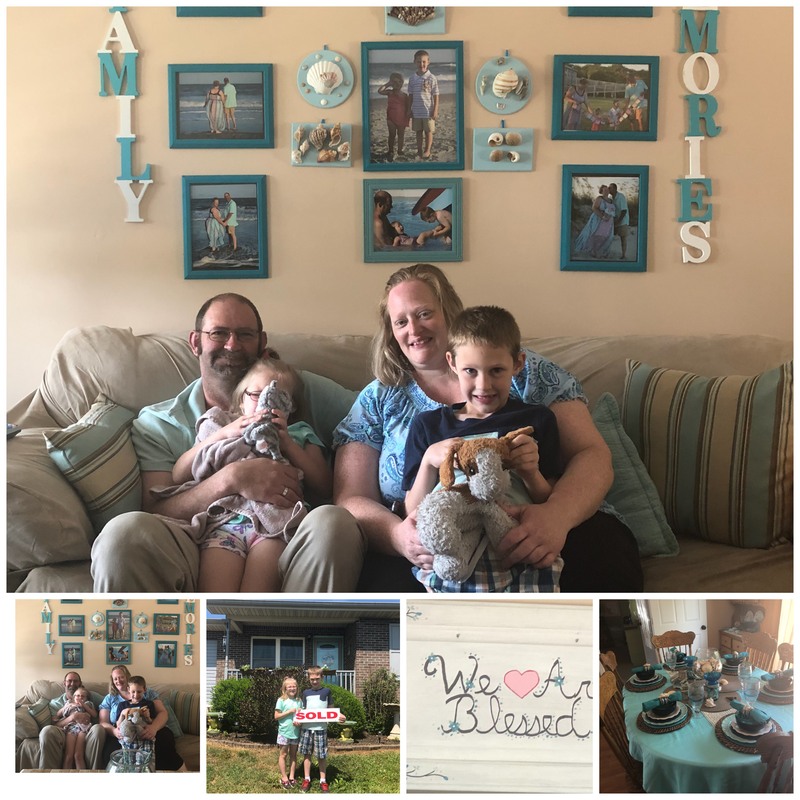 Love had brought them back together, and now that same day commemorated another special moment for their family: moving into a home of their own. Trish has been dreaming of homeownership for a long time. In fact she has spent several years slowly purchasing and packing away items so that she could one day decorate her dream home in her favorite beach motif. She and Jerry made it a goal, but weren’t quite sure how to make it work. Their credit score was acceptable, but income and some minor credit issue were barriers. They decided it was finally time to give it a try. They were approved, but not for a loan large enough to get a quality house that would meet their needs. After receiving information about Clinch-Powell at a back-to-school event in Jefferson City, they decided to see if there were more options available to them. They began the process with Andrea, Clinch-Powell’s loan specialist. Andrea immediately noticed some errors on the Amberns’ credit report. They had worked to keep things paid on time, but a medical charge had been doubly reported and a cable equipment bill that had been returned and paid was reported inaccurately. Clinch-Powell gave them guidance on resolving the issues, and it wasn’t long before they were ready to go. The best news was that Clinch-Powell, as a non-profit lender has access to several programs that provide better opportunities for lower income borrowers. The Amberns were able to qualify for a significantly larger loan amount through Clinch-Powell’s Homeownership Made Easy program which uses federal HOME grant dollars to purchase, rehab and sell a home at an affordable rate, sometimes using the USDA Rural Development Direct Loan program for financing. The Amberns and their two young children are now settling into their new home and are looking forward to many years of memories.